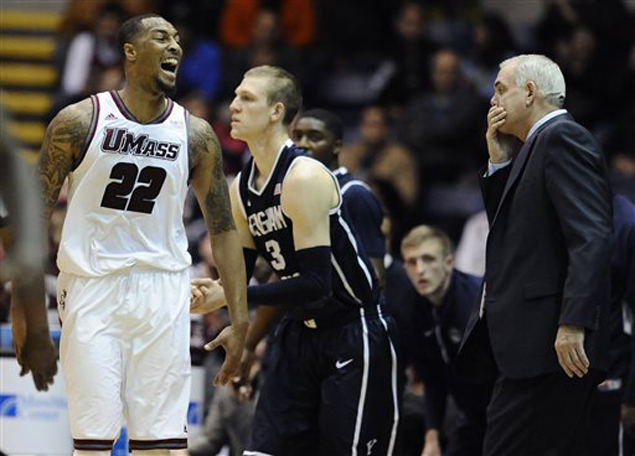 Listed at 6-foot-8, Sampson Carter suited up for University of Massachusetts in college where he averaged 7.1 rebounds and 4.2 rebounds in five seasons with the Minutemen from 2009 to 2014. ALAB Pilipinas has tapped Sampson Carter as its new world import in the Asean Basketball League (ABL), head coach Mac Cuan confirmed on Thursday. Carter, who was once signed up by the Memphis Grizzlies in the 2015 preseason, will be one of two reinforcements who will take the place of Korean-American imports Lee Seung Jun and Lee Dong Jun in the Alab lineup. The Lee brothers were released after Alab went 2-2 (win-loss) to start its maiden season in the regional league. “He can play the three or four, and has back-to-the-basket moves. He can stretch the floor with his shooting and can also attack,” said Cuan of Carter. The 26-year-old Carter last played in Mexico for the Caballeros de Culiacan where he averaged 14.8 points and 5.0 rebounds while shooting at a 44-percent clip from three-point range in the 2016 season. Listed at 6-foot-8, Carter suited up for University of Massachusetts in college where he averaged 7.1 points and 4.2 rebounds in five seasons with the Minutemen from 2009 to 2014. Carter later played overseas in Slovakia, Dominican Republic, and Portugal, before being signed by the Grizzlies in October of last year. Carter, a Baton Rouge, Louisiana native, played preseason games with the Grizzlies in 2015 but was waived before the start of the 2015-2016 NBA season. He had a brief stint with the Canton Charge in the NBA D-League. Cuan said Carter will arrive on January 3, the same date Alab is also targeting its second import to join the team which is still being finalized.